Gary has been a leader for 37 years and has attended 10 of the 11 New Zealand Ventures held. He has been the Australian Contingent Leader to New Zealand twice before, and the Victorian Contingent Leader to many Australian Ventures. Gary is the Assistant Branch Commissioner for Venturers - Venturer Support in Victoria. Phil has been a leader for 16 years and attended the 11th New Zealand Venture. He was the Administration Manager for the Victorian Contingent to Wild Dayz and has attended the last 5 Australian Ventures. 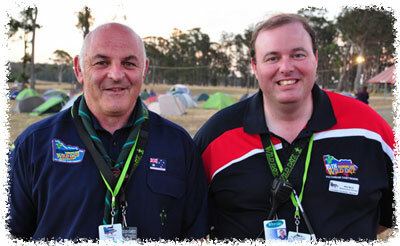 Phil is the Assistant Region Commissioner Venturers - Eastern Region and Venturer Leader at 1st Traralgon in Victoria. Kusi has been making the most out of Scouting, Venturing and Rovering for the last 8 years. Over that time he has attended AJ2007, AV2009, NZV2010, and most recently AV2012. Kusi has had an amazing time at every one, and above all he enjoys the close friends that he has made at each. At NZV2013, he is looking forward to a whole new set of mates and adventures. Kusi hails from Wollongong, NSW. Rob has been a scout since the tender age of 5, and chalks up his 15th year in the movement this year. 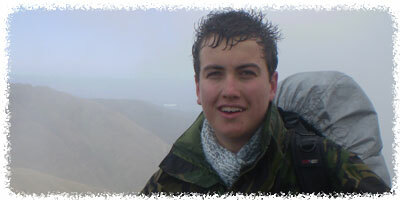 He attended AJ2007 and World Jamboree 07, and had the absolute time of his life as a participant in the last New Zealand Venture in 2010. Rob is passionate about spending the year promoting Venture South, in order to give other Venturers the same opportunity, and is looking forward to experiencing it all again next year. Rob was on the Victorian Contingent pre tour to Wild Dayz and also promoted Venture South at Wild Dayz. Rob is from Baulkham Hills in NSW. Fiona has been a Leader for over 20 years, and in the Venturer section for the past 14 years. Fiona has worked most of her life in finance, payroll and accounts payable and has extensive experience working in other Scouting administration teams. Fiona is currently District Leader Venturers for Strzelecki District in Victoria, and the Producer of Strzelecki Showtime. Sharon has been a leader for 10 years and was the Welfare Manager for Sub Camp 3 at Cuboree 2011, part of the Welfare team at Jamboree 2010 and has attended many other Jamborees and Cuborees. Sharon is also employed as a full time Welfare Coordinator at a Gippsland school. Sharon was recently appointed as the District Commissioner of Strzelecki District in Victoria and was a Scout Leader prior to this appointment.